Happy Friday everyone!!! Hope you had a wonderful week!! This has been a great week of sewing for me!! I found myself singing "I'm a maniac, maniac on the floor...and I'm sewing like I've never sewn before" a couple times LOL!!! 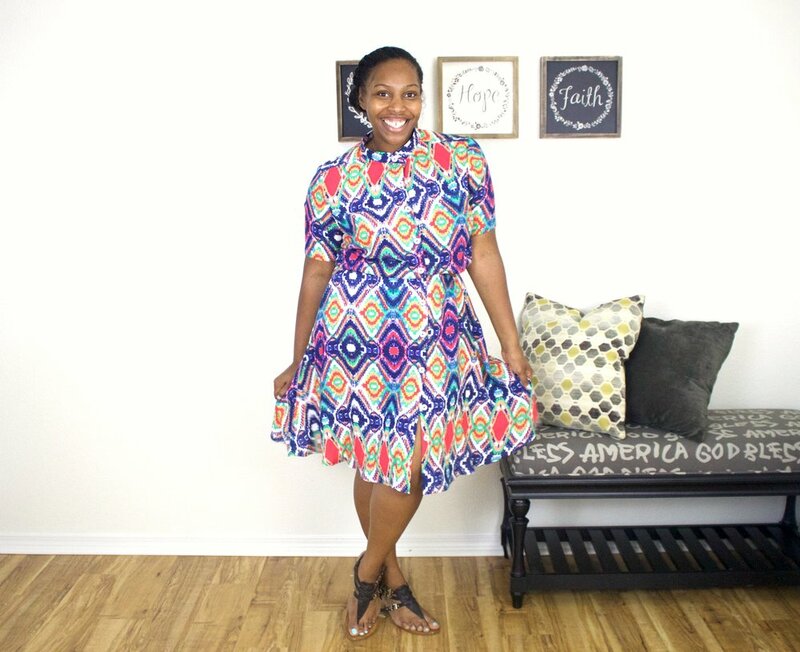 I entered my first look into the Fabricista Fashion Challenge, and that was so cool!! And to finish off this great week of sewing, I sharing with you 2 looks that I made using beautiful fabrics from La Finch Fabrics. 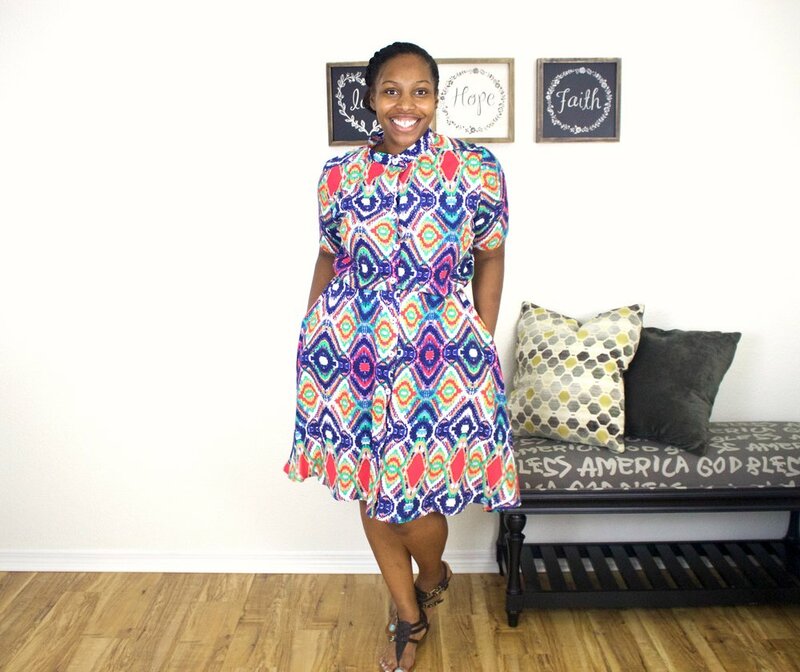 They are celebrating their 1 year anniversary, and wanted the help of sewing bloggers to give their readers reviews and sewing inspiration with their fabrics. I was beyond shocked and excited to be one of the bloggers included in this celebration. 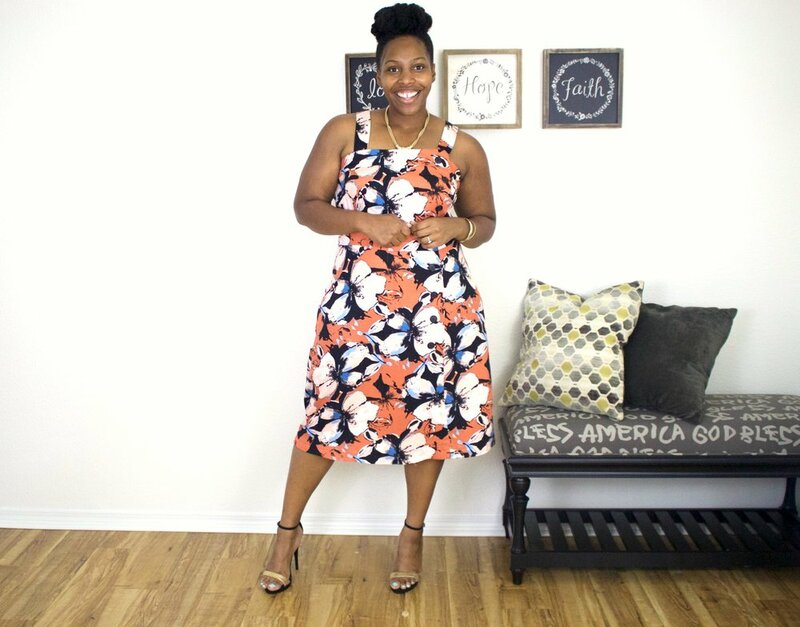 I received 2 yards of 2 different fabrics to create looks with. The first was this GORGEOUS Floral Viscose Crepe Woven!! The colors and feel of this fabric is amazing!!! I love that it has a texture to it, and the drape of it is amazing! At first, I had no idea what I wanted to make, so while I searched through my pattern stash, I went ahead and pre-treated the fabric. Before pre-treating I did serger the cut ends together, because I noticed a bit a fraying, and I didn't want to lose any inches in the wash. So as I'm looking through my pattern stash, I came across Simplicity 8123! Once I checked to make sure I could make it with 2 yards, my mind was set! For my second look, I had this beautiful Ikat Multi Color Rayon Challis to work with! I decided to go with all time favorite...the shirtdress! I've made Simplicity 8014 before but I went with View B this time. I love this fabric so much I bought an extra 3 yards for my stash!!! Lol! The colors just makes me smile! 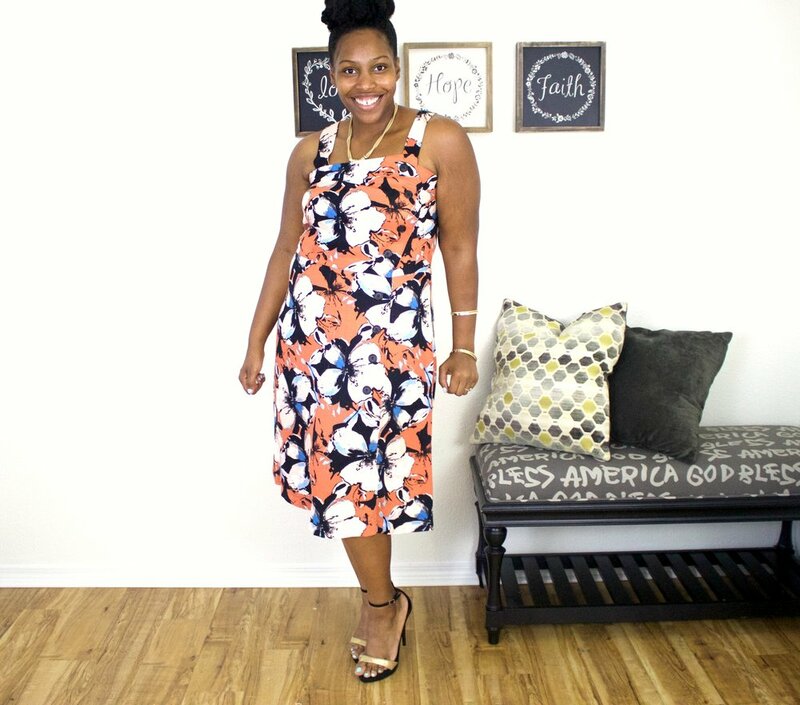 Its really soft fabric, flows great against the body and its so easy to sew with!!! 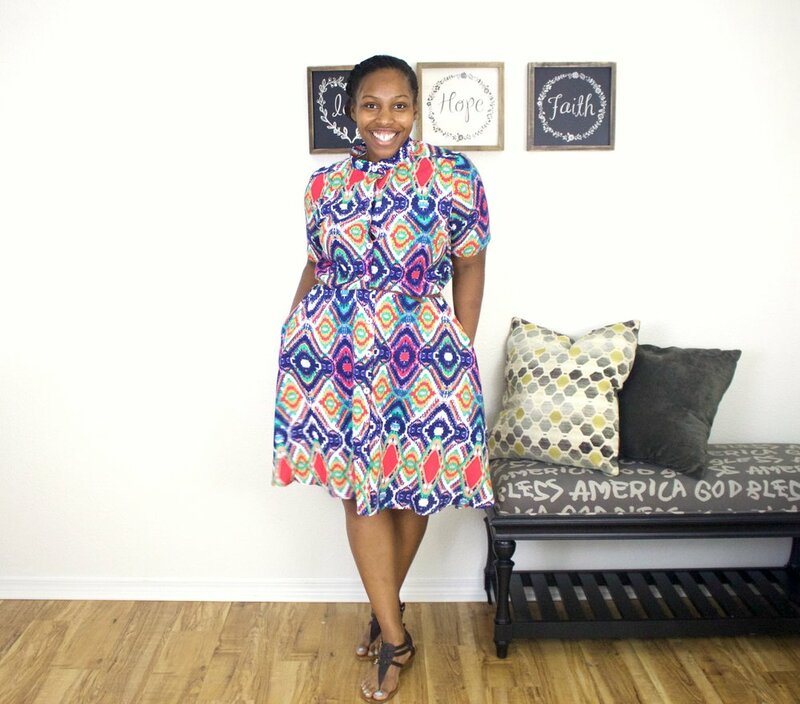 If you love beautiful fabric, in prints that you won't see everywhere, La Finch Fabrics has a great selection at affordable prices, and amazing customer service!